Plantation Shutters Dover by Just Shutters, your local interior shutter specialists. We are delighted to offer the broadest range, finest quality and unbeatable value shutters to homes and businesses in Dover and the surrounding areas. 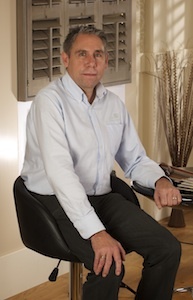 Your local shutter expert David Stansbury has lived in the area all his life and since 2013, has been the proud owner of Just Shutters Kent. Having earned an unbeatable reputation for quality and service, Just Shutters have grown to become a market leader. Specialising purely in the design and installation of the finest interior shutters, they are not a sideline or an addition, they are our focus and our passion. Each set of shutters is made to measure, designed specifically for each window or door. 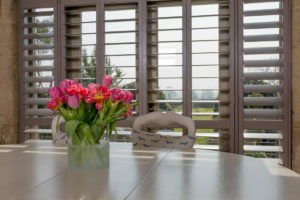 Couple this with the widest range of shutter styles and finishes in the UK (including our very own exclusive ranges) and you can be assured that every set of shutters will be unique to the room, and personal to you. So, whatever your home’s age and feel, whatever your design style; whether you opt for a daring, bold statement, or you desire a timeless classic elegance, we have the solution. We can create art from any space, for windows that will wow your visitors, we have the answer that will match your taste and lifestyle perfectly. Please call us on 01892 575 858 to discuss your needs. Alternatively you can follow the buttons below and download our inspiring brochure, or to arrange an appointment with your local expert David. Installation of plantation shutters in 2 box bay windows. Fitting of 30 windows with simple or double plantation shutters. You may also like to see shutters Kent.